Day +252 Finally things are starting to look up for us. Katlyn had her appointment at the IWK yesterday and by the time we left we felt on top of the world. For starters, Katlyn’s new medication working wonders!! She is able to hold her weight and is now eating a regular diet. This takes so much stress off of us. We have also got news from our insurance that they will be covering this special access medication for Katlyn at 80% which is amazing!! She will need this medication until she can get rid of the norovirus so we are looking long term. Using the fundraised money to pay the copay, we will be able to keep her on this medicine long term. 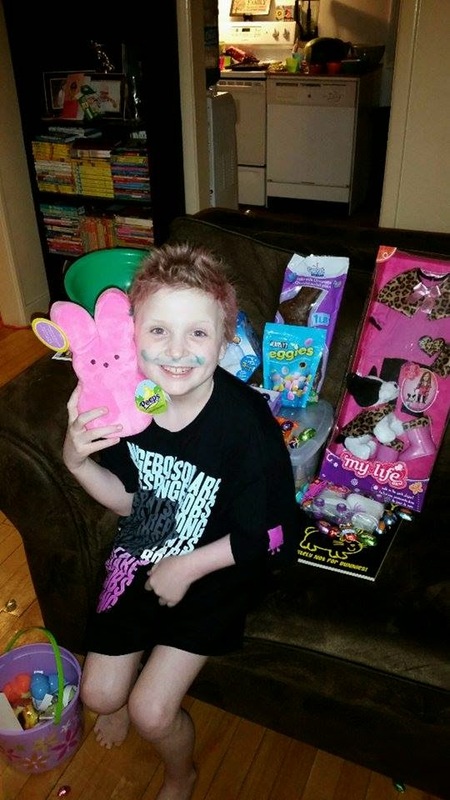 Great news considering we had raised money to pay for a couple of months and Katlyn’s doctor informed us that if it worked she would need it long term. Next, Katlyn’s doctor has reduced some of her medication. This means 5 less pills a day. This is enormous considering she was taking 22 meds daily. This is because she is able to finally absorb some nutrients from her food, so she is not needing as much supplementation. Katlyn’s doctor feels as though Katlyn is getting stronger and more stable. If all goes well we may be able to split the appointments up between the IWK and Fredericton. The plan is to return in two weeks and if she is still this well, the following trip will be local. This means only having to travel 4.5 hours away once a month!! 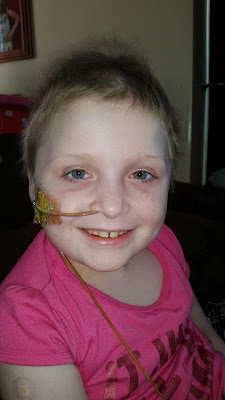 Katlyn had an infusion of iron yesterday which was a huge boost, making her feel incredible. She didn’t want it to end because she said it was making her feel so good. The hopes are to give Katlyn 4-5 infusions to get her levels up and hopefully maybe her iron will level out after that, thus resulting in her hemoglobin also regulating. Katlyn’s labs did look pretty good. Her hemoglobin was about the same as two weeks ago, which means it is not dropping. Also, her platelets are finally in normal range. Now I saved the most exciting news for last. We have been waiting for cell growth, specifically Katlyn’s lymphocyte count to come come up. And even more specifically, her tcells to come. Well Katlyn has always had problems with low lymphocyte counts. 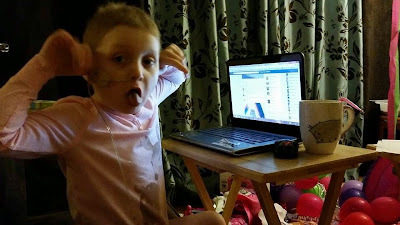 Before her transplant she averaged 100, which is very very low. Lymphocytes are the part of your immune system that protect you from and fight viruses. Well last visit her count was a little over 500 but we never got two excited because we’ve seen that before and then drop. Well yesterday we were amazed to find out that Katlyn’s lymphocyte count is 810. Finally!! I could have cried. The doctor was so excited. She said that now we can start to work on some of Katlyn’s post transplant tests like a pulmonary function test and dental. We have not been able to do any of this because Katlyn was too at risk. Now we know we still have a long way to go, but this is the little bit of hope we need to get us through this. The more Lymphocytes that Katlyn has, the more of those can be tcells. Our little girl is growing!! In height, in weight and with a beautiful functioning immune system someday soon. God gets all the credit. He has given us the strength to get through this. A miracle is taking place and Katlyn is going to be well. All the prayers and love and support that has pulled us through this all. I know there will still be bumps and we have to protect Katlyn from germs as she is still very immune compromised, but I am very optimistic. We will get there one day at a time. In the meantime, please continue to pray for Katlyn. God bless. Day +235 we are headed to the Iwk to start the new medication to hopefully get rid of the norovirus. I pray it works. We need a miracle. Katlyn is doing very well for the most part. It's so hard to believe how much better she gets everytime we come here. This trip she wanted to bring toys and as soon as we got to Halifax she wanted to go exploring with her Dad to the park. So different then just spending her time sitting on the couch. We do still have the issue of no tcells and low hemoglobin but hopefully we will see some improvement soon. So please send your good vibes and lots of prayers. We need this medicine to work! Day +198 Happy Valentines everyone. We will be spending the day cuddling and being so grateful we have each other and this little bucket full of love. Are we ever blessed!! She is doing well. Not much has changed. Just waiting for those tcells to come so Katlyn get out of isolation and back on with her life. So happy to update that we are back home after spending the weekend in the hospital. Katlyn had a fever most of the weekend and a terrible headache and lots of body aches. All of her cultures came back negative so the fever is probably viral. Katlyns fever broke last night. It's really hard to explain what I mean, as I'm unfamiliar with the whole fever thing, but as soon as it was over I knew it was done finally. She woke up this morning feeling great and doing great. Antibiotics were stopped and we were sent home. Yay!! 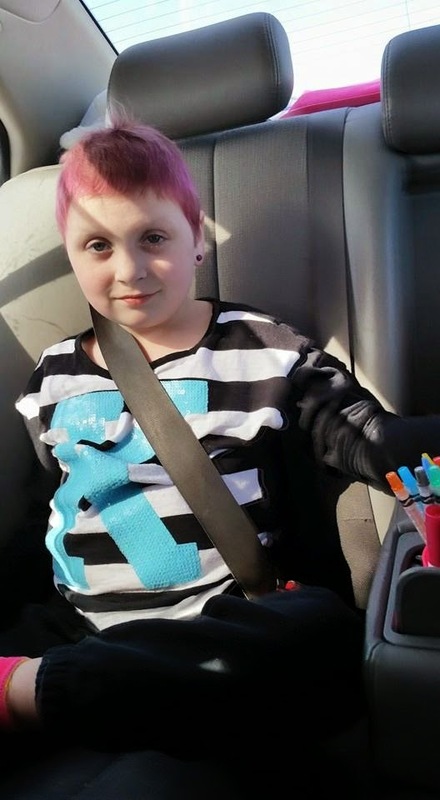 Follow 8-year-old Katlyn, diagnosed with adenosine deaminase (ADA)severe combined immunodeficiency (SCID). This is an extremely rare condition where there is a defect in her ADA gene. The ADA gene is responsible for filtering the body of toxic metabolites. In Katlyn's body, those toxic metabolites are not filtered and therefore, kill off her lympocytes, leaving her with virtually no immune system. Katlyn is has participated in a gene therapy protocol in Bethesda, MD at the National Institute of Health, but unfortunately it did not work. She is now preparing for a bone marrow transplant. Katlyn this is an account of when you were little and all you had to go through. We love you sweety!!! !